I love to paint fish. Each and every one of them is a jewel; an abstraction of color, pattern, form and wet, reflective surface. 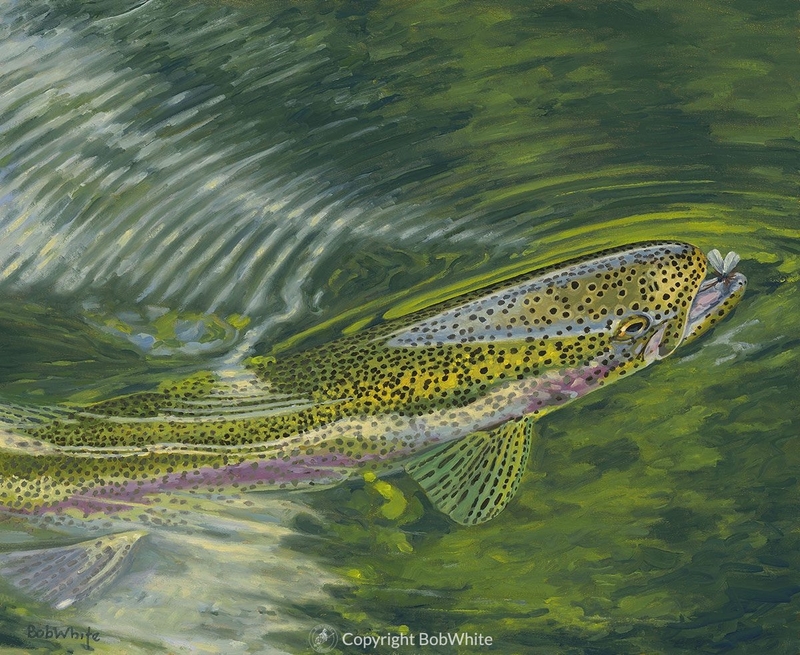 This is particularly true of a fish painted in its natural environment. My friend, the Swedish photographer, Per-Anders Nilsson, captured all of this in one extraordinary photograph, and very generously allowed me to paint from it. 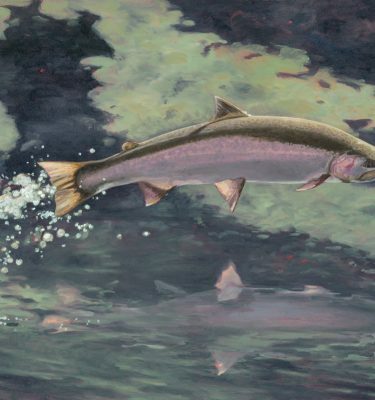 This painting illustrates John Gierach’s story “Green Drakes” in the Summer 2018 issue of Trout magazine.